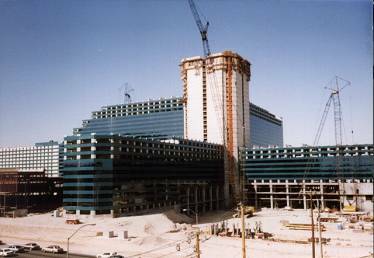 In the early 1990s, Portland Bolt supplied all of the large diameter imbedded anchor bolts required for the construction of the MGM Grand Hotel and Casino in Las Vegas, Nevada. The MGM Grand opened in 1993 and is located on the south end of the strip. The resort features ten restaurants, two showrooms, a special events arena and a 170,000-square-foot casino.